﻿﻿﻿﻿﻿﻿﻿﻿After you make your four-generation ancestor chart, in my case I could only go back to my grandparents when I made my first chart, what do you do next? Many people will tell you to begin interviewing your family. But back in 1999 I hadn’t yet unearthed more long-lost relatives besides my aunt and uncle. ﻿﻿The next place to go is the US Census. 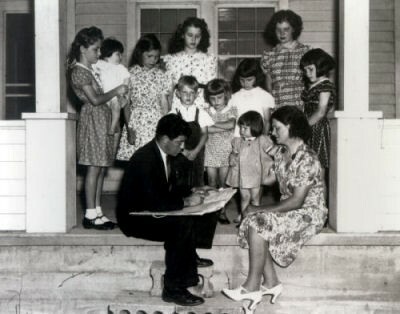 In many genealogy resource books, including Ann Carter Fleming’s The Organized Family Historian, we learn that “Census research should be very high, if not first, on the genealogical job list.” (Fleming, p. 115) I mean where else can you find such wonderful records of people providing answers to personal questions about themselves? 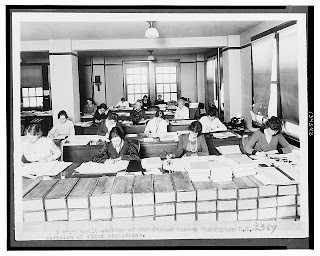 Census Bureau clerks record vital statistics data collected during the 1920 census. 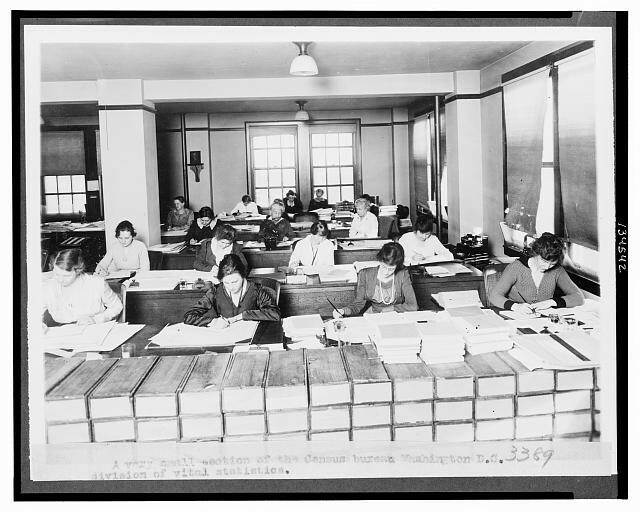 Now the first step in studying the census is to become familiar with the form for each of the years the census was administered (starting with 1790 and continuing every ten years [except for 1890 which was lost in a fire]) as the information asked for changed or was arranged differently for most of the census years. A good place to see each census form from 1790 to 1930 is Chapter 7 "Census: The Records Count" in Ann Carter Fleming's book cited above. The forms are available for download on the CD that accompanies Ms. Fleming's book. I have also read in many reference books that the family researcher should start with the present and go backwards. In census study this means that we start with the 1930 Census as it is the most recent (at leasuntil April 2012) census to be released for public use.